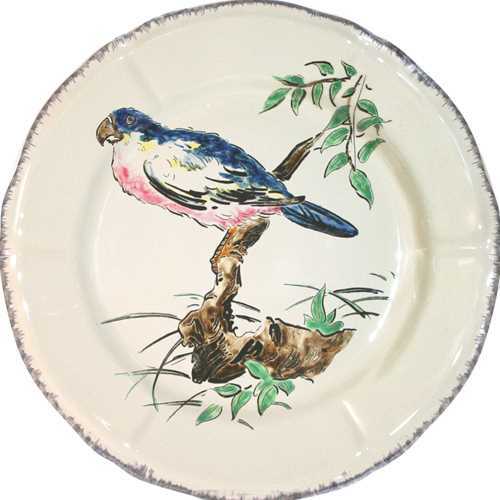 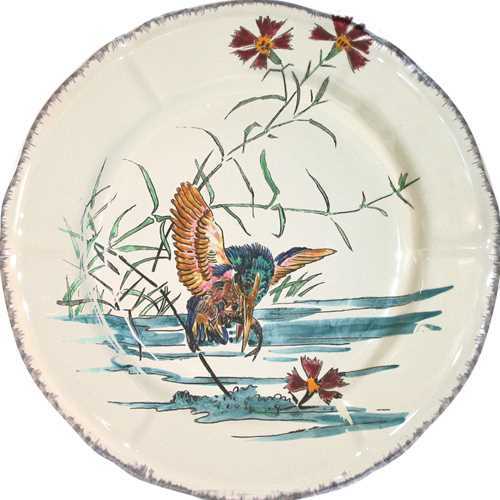 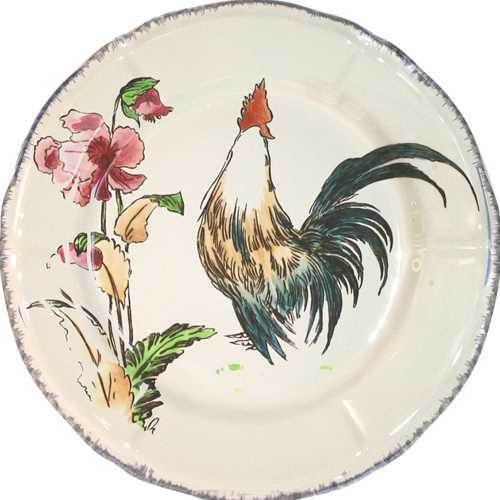 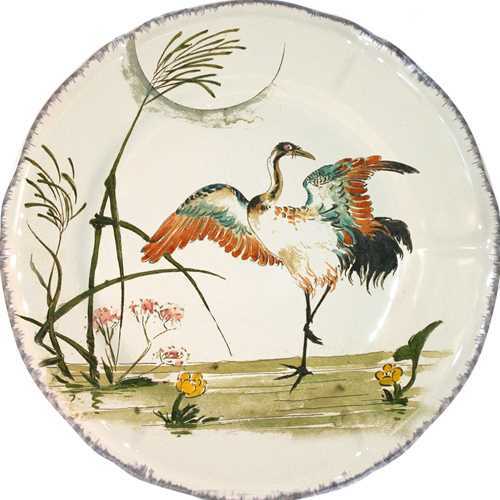 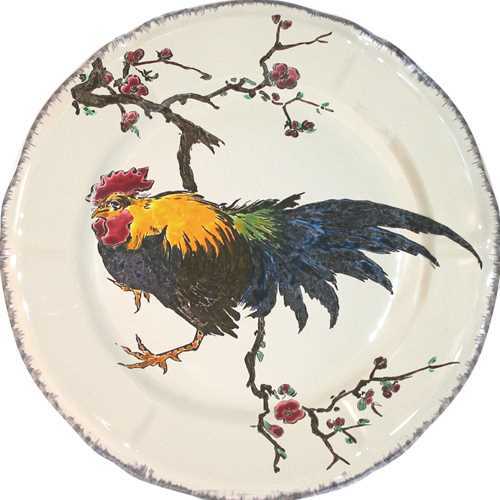 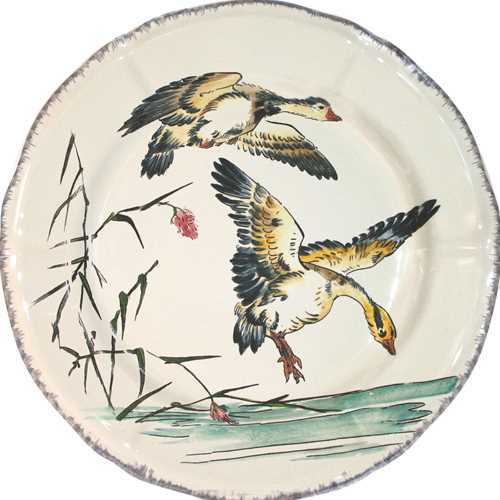 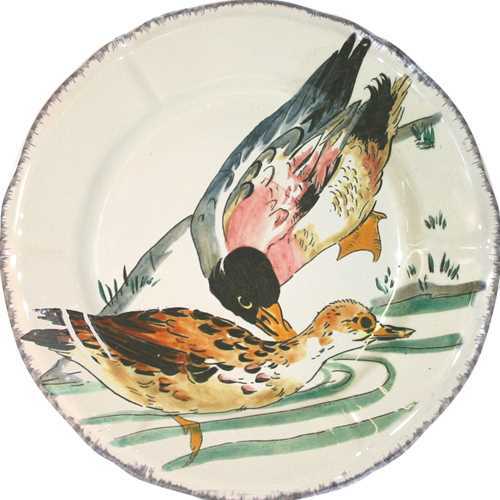 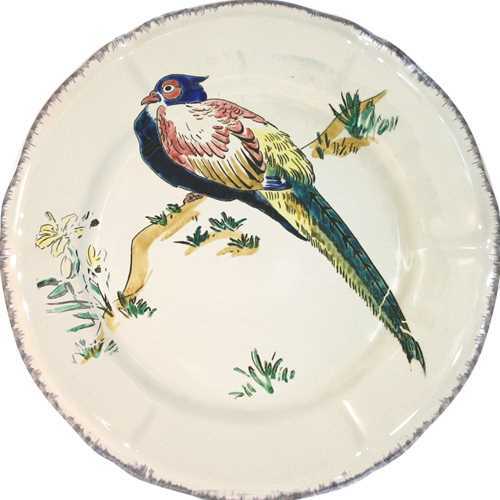 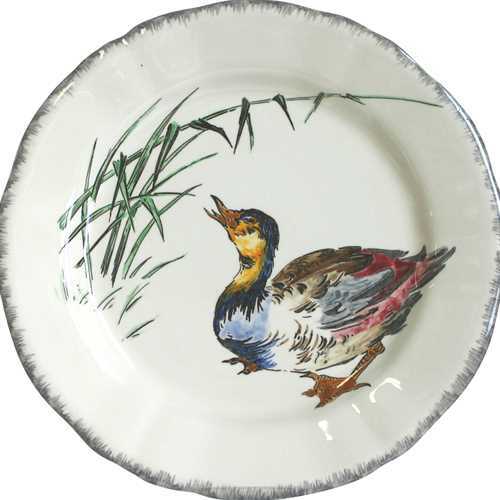 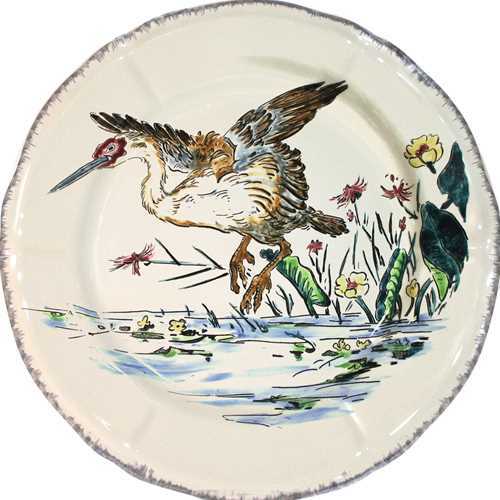 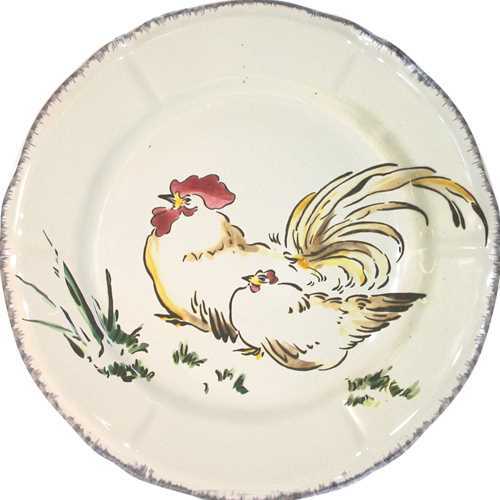 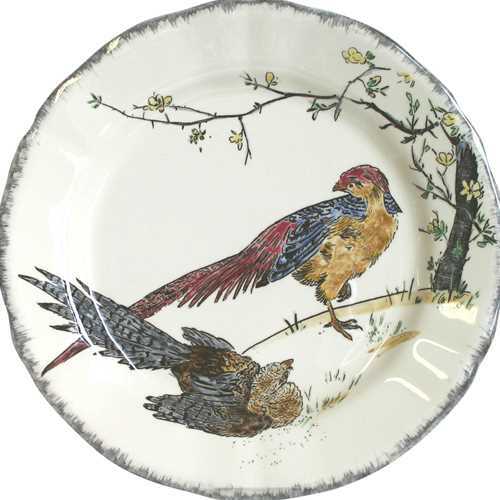 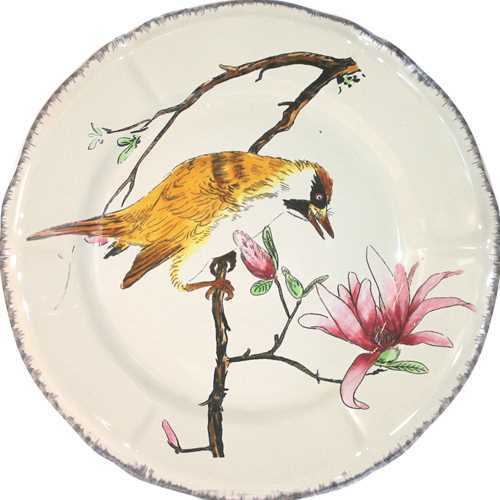 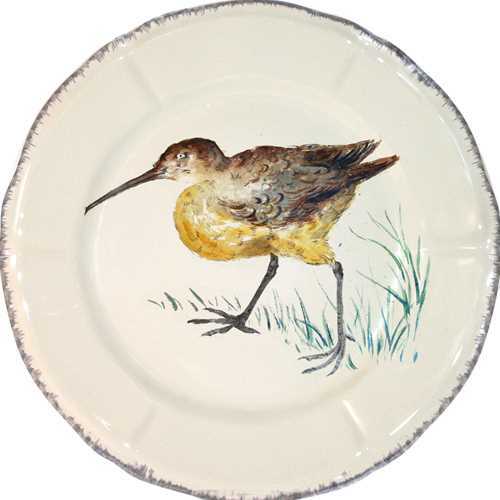 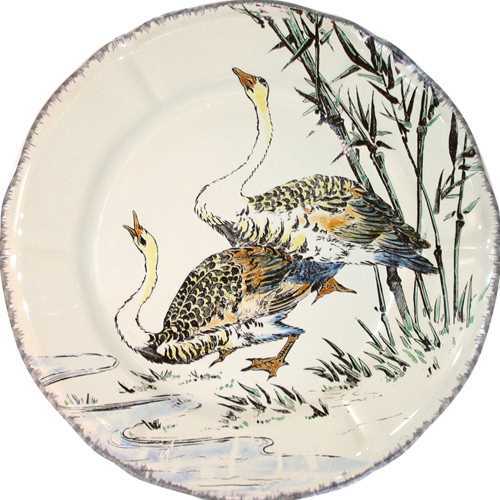 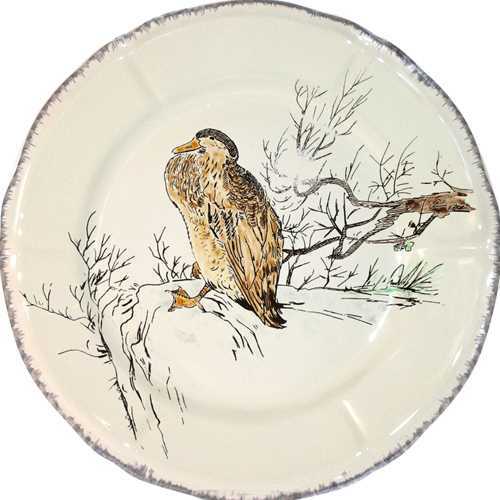 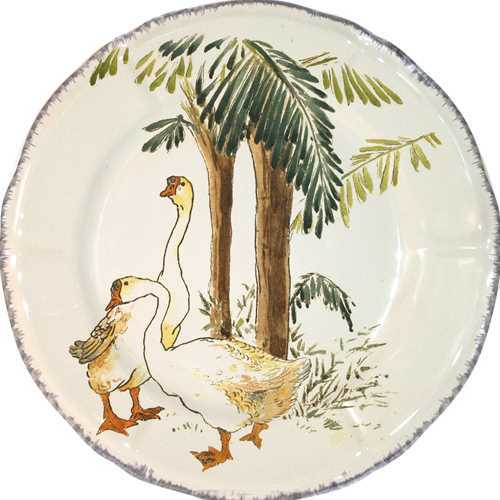 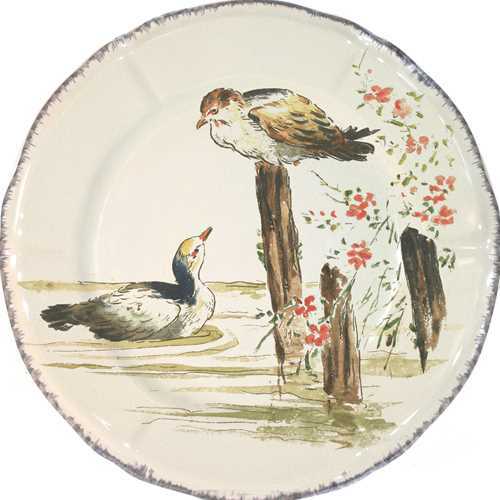 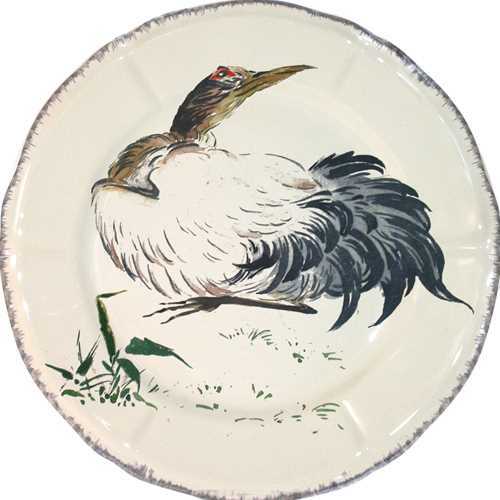 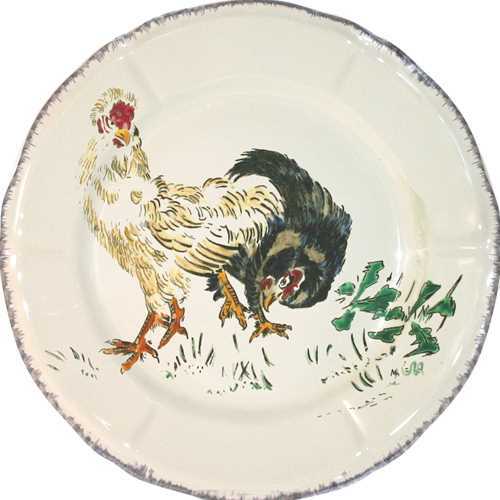 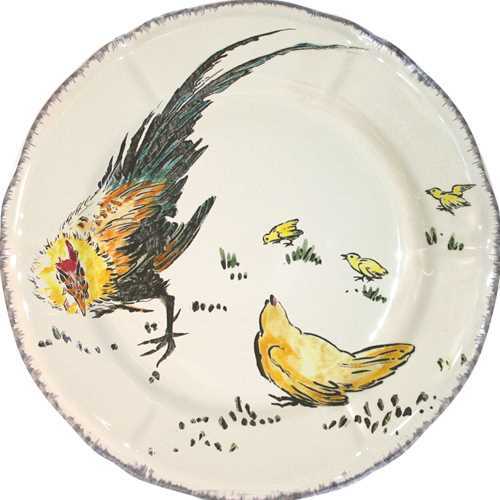 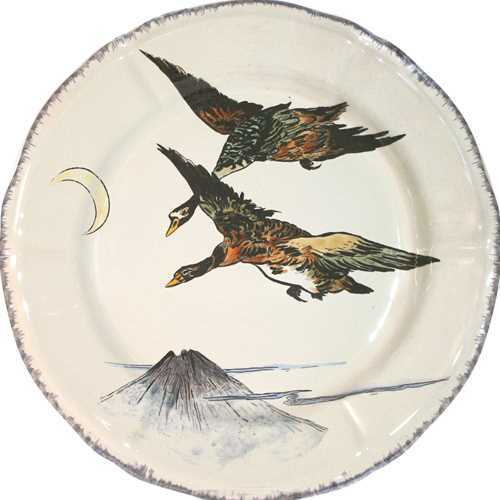 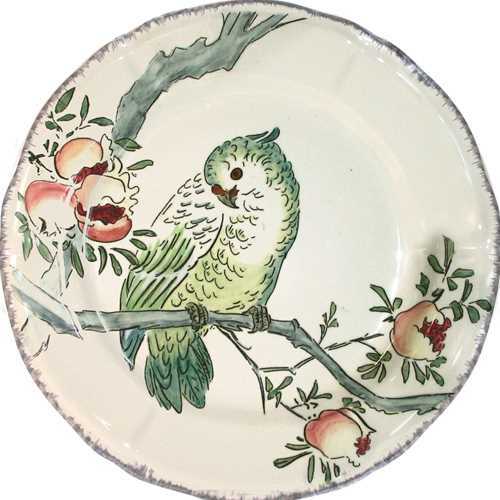 Gien Grand Oiseaux is entirely hand painted, based on illustrations from the 1870's. 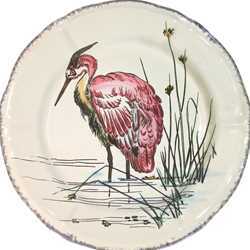 Dinner plates are 10.4" diameter and dessert plates are 9.1" diameter. All items are made to order and can take up 12 weeks to ship.